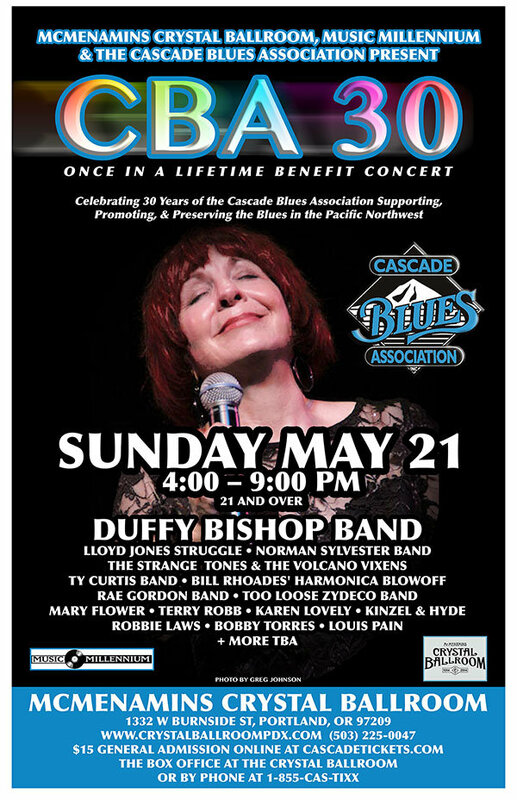 The Cascade Blues Association is proud to present CBA 30 – A Once in a Lifetime Benefit Concert, along with McMenamins Crystal Ballroom and Music Millennium, to celebrate the CBA’s thirtieth anniversary of supporting, promoting, and preserving the blues in the Pacific Northwest. 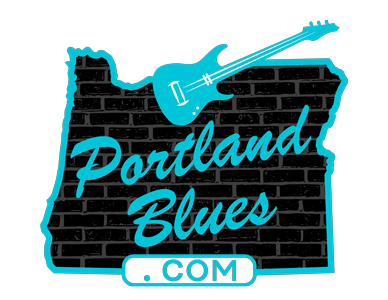 Formed in late December 1986, for the past thirty years the organization has continuously worked at focusing on our local, regional, and national touring talent that has made the Northwest a hotbed in the international blues scene. Our community definitely overflows with an abundance of blues musicians, both past and present and this event is aimed at honoring their creativity as much as the CBA’s involvement. Over the years, the CBA has had its ups and downs as any business will go through. Unfortunately, at this point we are seeing a bit of a struggle financially, so this event is also a benefit to bring us back into a stable frame. We do a number of events that are expensive, and most of the cover for these events comes from our membership’s annual dues. For the past few months we have consistently experienced more outcome in funds than we have been receiving and it is catching up with us. The Muddy Awards, member picnic and holiday party, BluesNotes and various events do add up. Therefore, all of the musicians taking part in CBA 30 have offered their performances to help us get back on our feet. CBA 30 takes place on Sunday, May 21, starting at 4:00 pm. McMenamins Crystal Ballroom is located at 1332 W Burnside Street. Tickets are available in advance through CascadeTickets.com, the Crystal Ballroom box office or by calling 1-855-CAS-TIXX. A limited number of VIP seats are available for $75.00 each, that include a meet & greet with Duffy Bishop, with a personal photo with Duffy and a signed event poster by her, a VIP pass and reserved seating. This event is 21 & over only. There will be a silent auction and raffle tickets. We are looking for donations for these, please contact one of our board members if you have anything to offer. A huge thank you goes out to Joey Scruggs, Terry Currier, Greg Johnson, James “Coach” Hurley & his stage crew team, Andy Strange for artwork, and McMenamins for making this event come alive. Please join us to help the CBA continue our pursuit of keeping the blues at the forefront of the region’s music community and to experience a “Once in a Lifetime” event for the ages.